Business and leisure fliers alike agree that getting stuck at the airport is seldom a pleasant experience — it can be boring, stressful and highly inconvenient. Many factors can impact the timeliness of a flight, like the season, airport location and holiday travel volume. An average of 15 percent of flights from U.S. airports are delayed 15 minutes or more, but some airports fall even further behind. The team at WanderBat, a travel information site powered by the Graphiq suite of research tools, found the nation’s 85 airports where your flight is most likely to be delayed 15 minutes or more. To do this, we gathered 2015 flight data from the U.S. Bureau of Transportation Statistics, and only included airports that serve at least 5,000 flights annually. Unsurprisingly, airports in popular cities, tourist destinations and major business hubs are prominently featured on this list, as are the airports of the East and West Coasts. In general, the size of an airport doesn’t appear to be correlated with the frequency of flight delays. It’s likely that factors such as weather patterns and geographic region have more impact on the reliability of a given airport. Atlanta Georgia’s Hartsfield Jackson International Airport served the most people of any airport in the country with 379,424 passengers in 2015. Remarkably, flights out of Hartsfield Jackson International are only delayed 15 minutes or more 17.23 percent of the time, just around 2% greater than the national average. 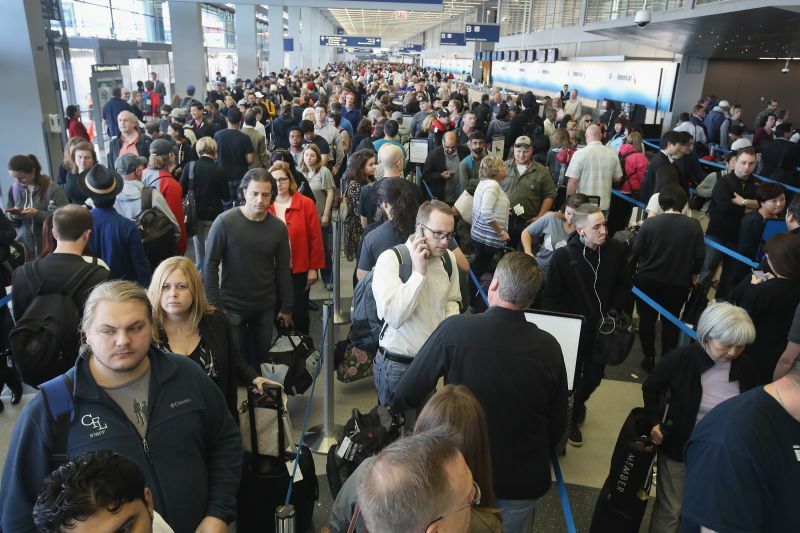 This is particularly impressive when compared to the second busiest airport, Chicago O’Hare International Airport whose 313,536 passengers in 2015 were delayed more than 15 minutes 22.78 percent of the time — 5% more than Hartsfield Jackson and nearly 8% higher than the national average.